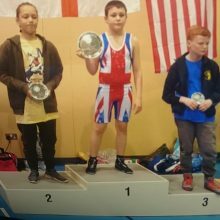 David Siko W3 – travelled to Ireland on 27th April 2018 to compete in the Ireland Wrestling championship for Lancashire and was undefeated. He became Irish Wrestling Champion. A massive achievement, well done David!